Amethyst Candle is rated 4.9 out of 5 by 19. A soothing blend of blackberry and lilac blossoms with a background of sandalwood to balance this rejuvenating scent. 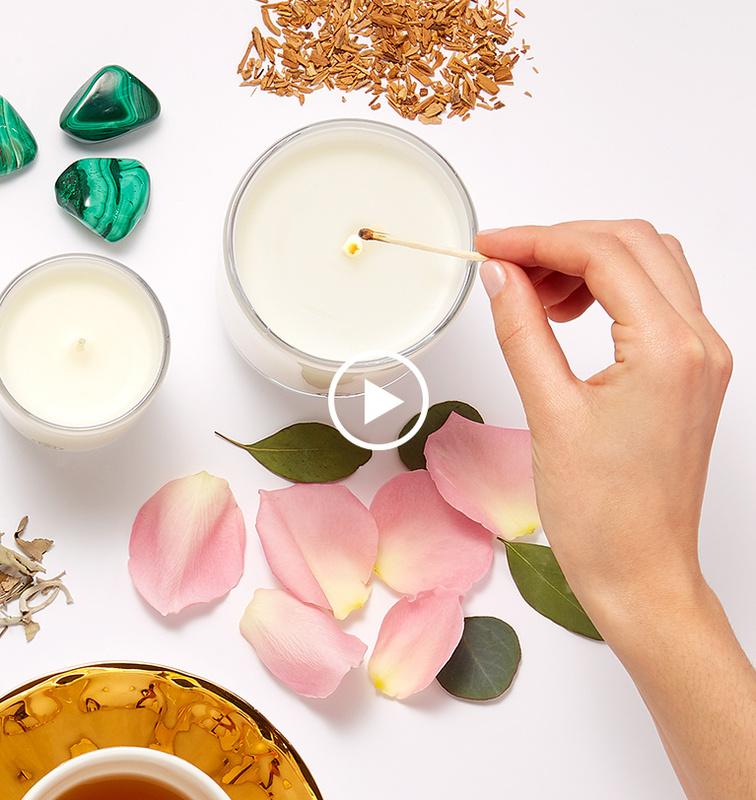 Place this balancing candle in your bath, bedroom, or foyer for instant calm. Rated 5 out of 5 by SheaGeorge from Worth every penny When I’m in store I’m so busy with baubles I dismiss the home line. I needed to order candles for the house and since I routinely order from Diptique and Voluspa I thought it was worth trying the KS candles. I read the reviews and ordered the Amethyst... I am in love!! Excellent packaging. Excellent fragrance and throw. I’m eager to try the other scents. Rated 5 out of 5 by BreC from FIVE STAR CANDLE! I purchase every high end candle you can access- domestic overseas, I'll source it. This is hands down, an absolute must-classic in your home and as a hostess gift. You will use the 3oz and the 8oz throughout the home. The white glass goes with everything. Best scent of them all- I have everyone asking and raving about it! Rose is a close second. Rated 5 out of 5 by LaurenD from Distinctly beautiful smell. I bought this on a whim at the store... as I tend to splurge on home scents. The candle smells unbelievable and is simply and beautifully designed. Full disclosure: My husband pretends to be allergic to candles in the home, as he finds most scents to be annoying, but I’ve found him lighting this one when I’m not around. Rated 5 out of 5 by Sue W from Amethyst candle I received a sample scent packet of this candle (as well as the other new ones) and was blown away by the smell. Can't wait to receive! I'm a huge candle lover and while it was a little more than I would normally spend, I think it will be worth it. Rated 5 out of 5 by Mina from Smells heavenly I bought this candle as part of a fund raiser, I LOVE the scent this candle has. It sends a scent over the whole room and I get compliments on it from visitors I may have. Rated 5 out of 5 by Cade D from Great Buy! I bought this candle for my girlfriend on her birthday, and she absolutely loves it. It smells like rest and relaxation. Rated 5 out of 5 by JennF from The smell! The smell of this candle is AMAZING!!! It comes in a beautiful box too. Love this. I want to try the others too!